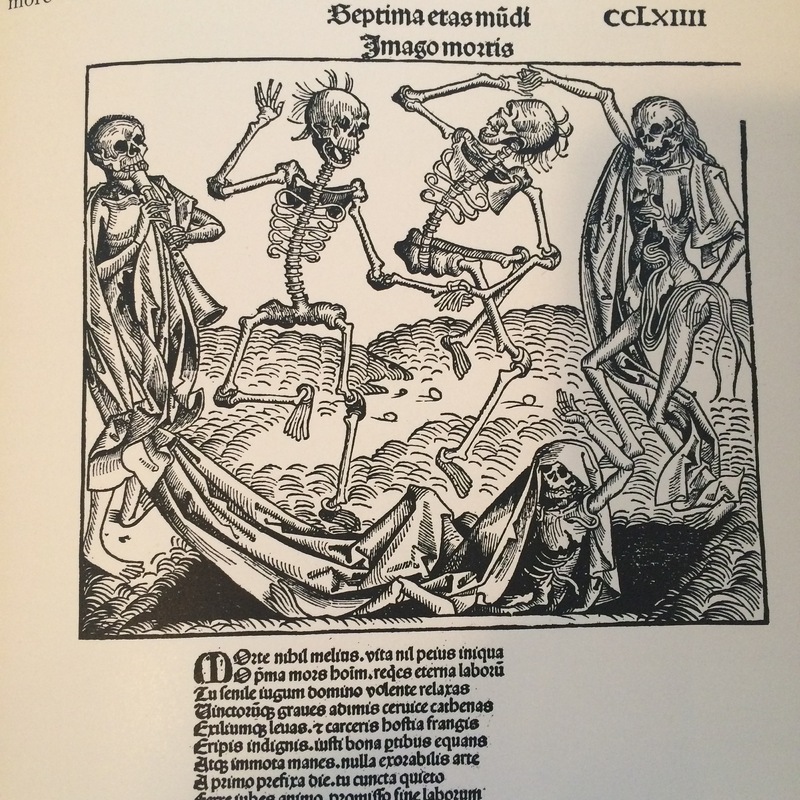 Woodcut, Dance Macabre, 1493 I have always loved these depictions–from the Dance of Death to Death and the Maiden. Those skeletons always seem so friendly to me. One summer I wandered around Los Angeles imagining death beside me as an old friend. We went to Topanga Canyon and listened to the coyote pups giggling in the ravine. We spent afternoons in the dazzling marble light of the Getty and wandered the Huntington Gardens the one day the Corpse flower bloomed. I had fallen in love with someone that summer but he didn’t love me back, though he did say after I spent the night, in the morning, everything was bright, and he repeated it, everything was bright.